First published in 1997, this volume contributes to the knowledge for the trade of vegetables, fruits and tubers (so-called horticultural commodities). As African policy makers try to keep pace with new developments in private food trade, they require knowledge of the structures of private trade systems and the factors that govern their long-term development. 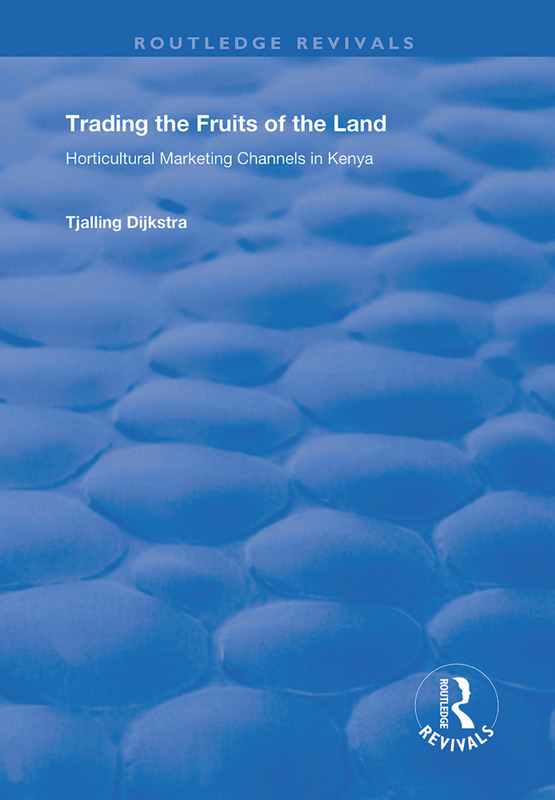 The study analyses the structure and development of horticultural marketing channels in Kenya. It is based primarily on surveys of some 500 farmers in four districts and 750 horticultural traders in 18 market places. Commercial horticultural farmers, domestic traders, export traders, agents, facilitators, marketing cooperatives and processors are all reviewed. The study devotes special attention to the efficiency of collecting wholesalers, and to the development of rural assembly markets. It develops a model which can elucidate vertical differentiation processes in the Kenyan horticultural channels. The analyses show that marketing channel theory can be of great relevance to the developing world. The proposed vertical differentiation model can aid in predicting future changes in horticultural marketing systems, in Kenya as well as in other African countries.